and that feeling is too good to name it, that feeling has Noname. 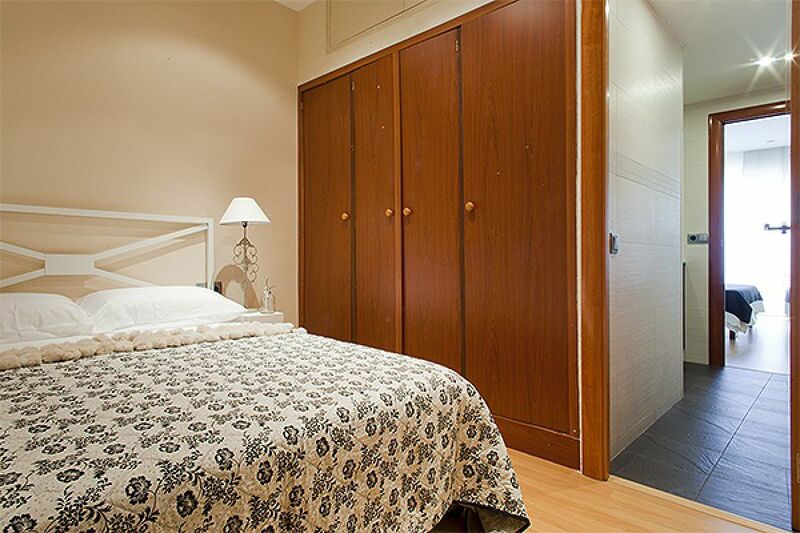 It has been a long day for you, squeezing the heart of the city and you are exhausted and willing to retreat into your charming flat just off the Eixample. 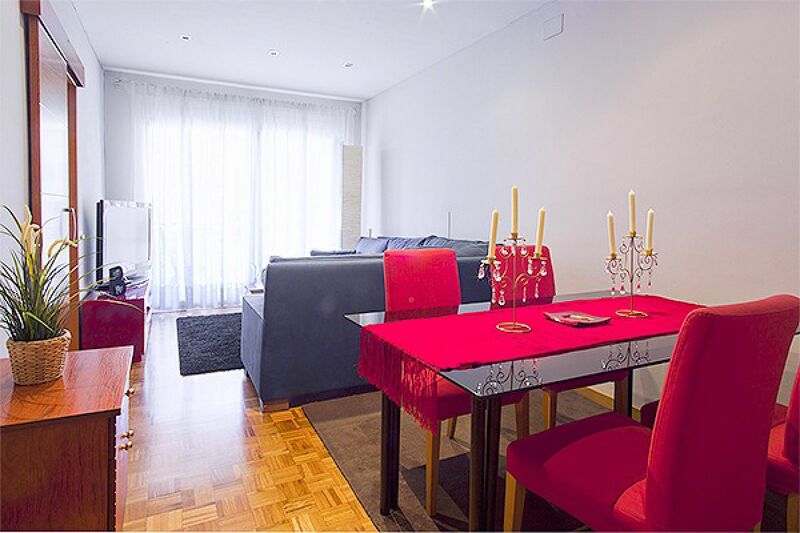 This spacious three-bedrooms apartment, has a superb look with warm wooden floors and furnishings focused on a Zenlike tranquility. 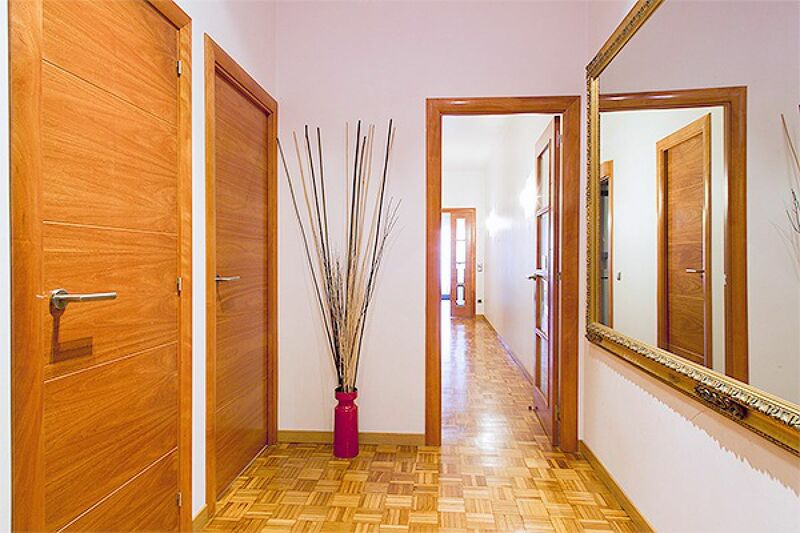 Extremely silent, you’ll feel perfectly at ease from the moment you step through the door. It has two full bathrooms, one ensuite in the master bedroom. 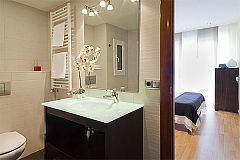 Both with a very modern look, with large built-in showers and heated towel rails, to keep all towels warm before they embrace you, after an indulging shower. 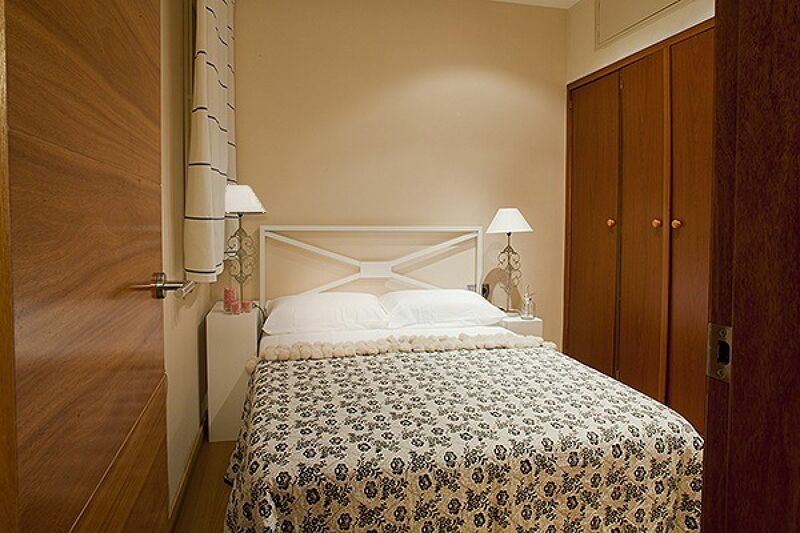 All bedrooms have been decorated with loving care. Details like a stylish vintage clothes rack, fringed curtains, a pair of metal handcrafted bedside lamps and crisp white linens, make the difference. Next to it, the luxury of having your own dressing room. 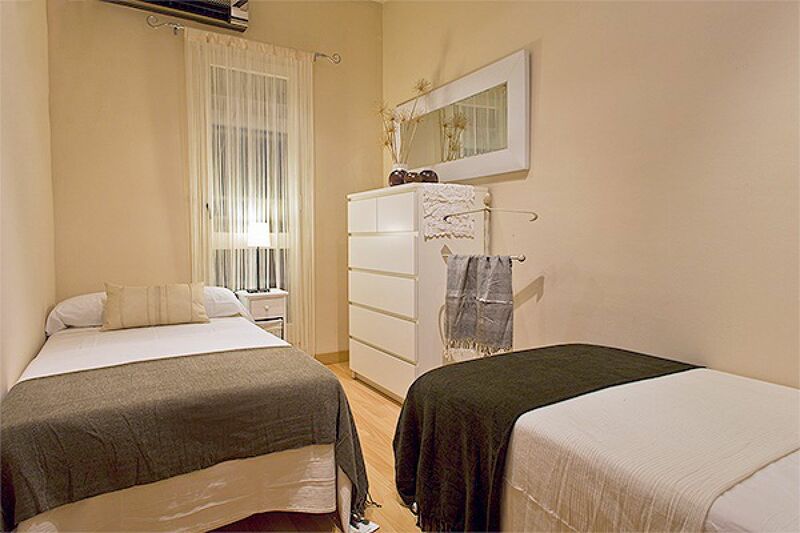 Sink into the comfortable beds of any of the three bedrooms, and rest. You will never get out of the wrong side of the bed. Then you can settle into the common area’s huge and comfortable deep blue sofa to watch television or talk with your friends. 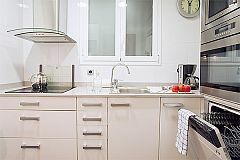 For extra entertainment, you’ll find a well-equipped kitchen with lots of storage space and a sweet dining corner for a quick morning coffee. 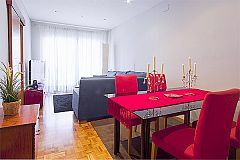 "The icing on the cake is the furnished sunny terrace with room enough for all of you staying in the flat. Switch on the ambience lights, light up some candels and get ready for a night of romance..."
Going out and exploring the neighbourhood is a great idea. 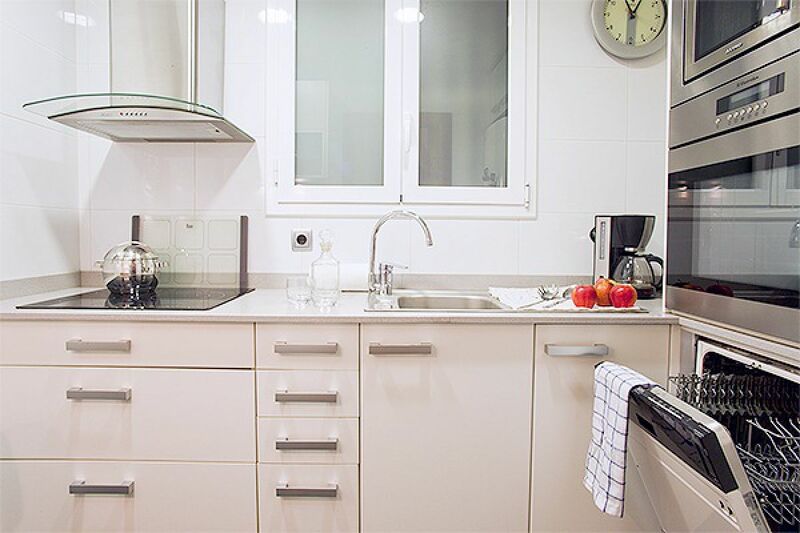 You are in the Eixample the very center of modernist Barcelona, jostled on every side by exquisite restaurants, charming cafes, and trendy shops. Outside, you’ll have all the riotous fun of this amazingly modern quarter just begging you to come out and play. We've got a feeling, now it's your turn... you name it! Electronics: 40" HDTV, stereo with IPOD dock. • Bar Tarambana - C/ Comte Borrell, 148 - Mediterranean dishes and cocktails. • Can Vallés - C/ Aragó, 95 - creative recipes in a smart setting. 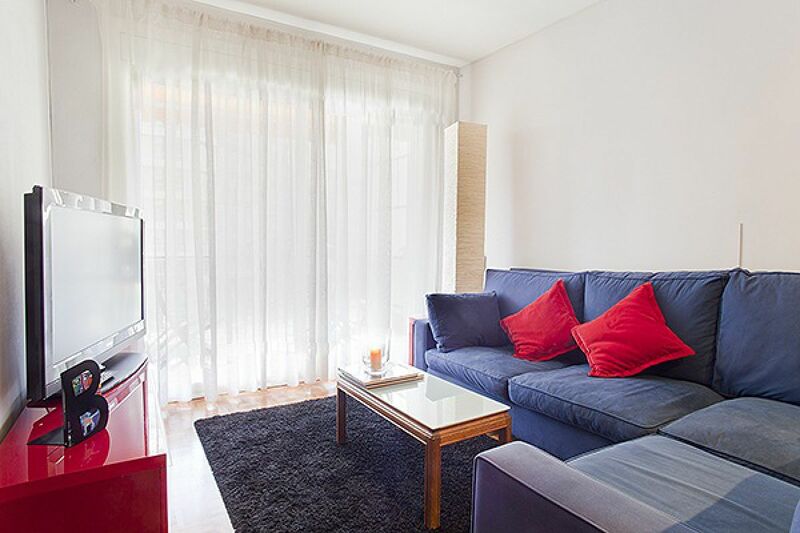 This apartment is very comfortable and was in the perfect location to be close to my friends. It was also a nice walk into the centre and lots of attractions. The middle bedroom was extremely quiet, which was perfect for a good nights sleep. The sunny terrace was lovely on the cool spring days. I would happily stay here again! Great location, very accurate description so it was exactly what we expected. Thank you for the hospitality Jaume! 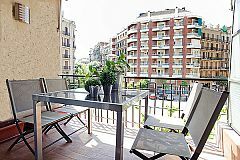 Wonderful apartment in a perfect location. Very clean and comfortable. The building and areas is very safe and the apartment staff are very pleasant. We had a lovely time and check-in was very good! I had a lovely stay at bizFlats' with my family over the Christmas period. Check-in was very easy, thanks Anna! We appreciated the earlier arrival too. 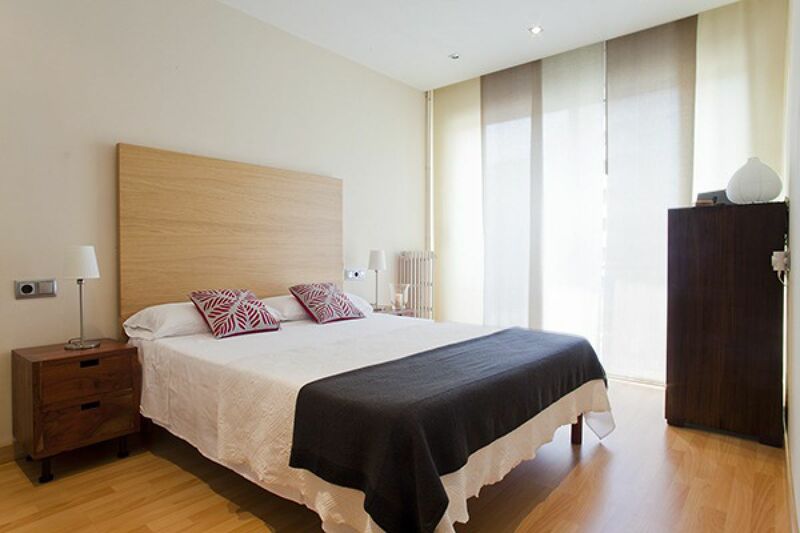 The tips on the city were great and comfort of the flat was very high. The balcony is a massive bonus and a huge sun trap, even in December! I would definitely stay here again. Thank you! Thanks for the cleanliness, extra pillows, towels and the comfy beds. Great place to stay. 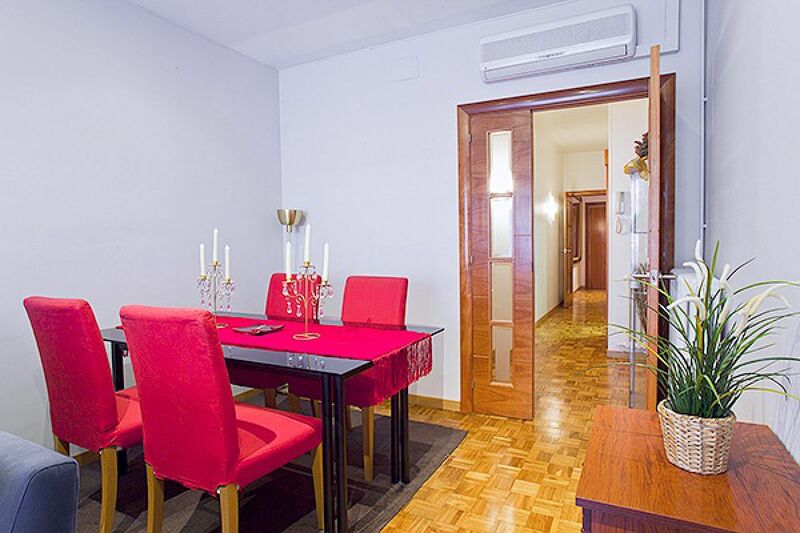 Very close to the Metro, bus and airport bus which take you wherever you need to go in and about Barcelona. 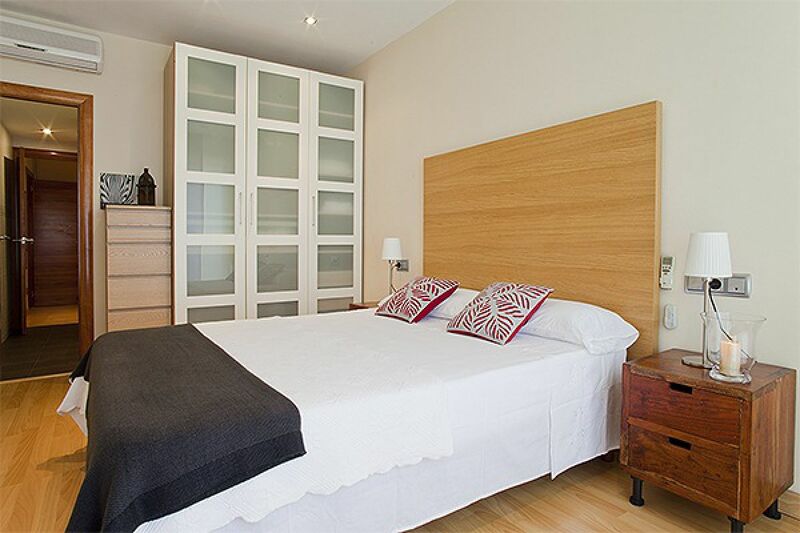 The flat was very clean with plenty of pillows, nice towels, hot water and kitchen utensils. Beds were very comfortable. The staff was very available, nice and helpful. The apartment is in a great neighborhood outside of the touristy center of the city, but well within walking distance to many of the main sites. I really loved the neighborhood- so many great restaurants within easy walking distance! The food in Barcelona is amazing!" 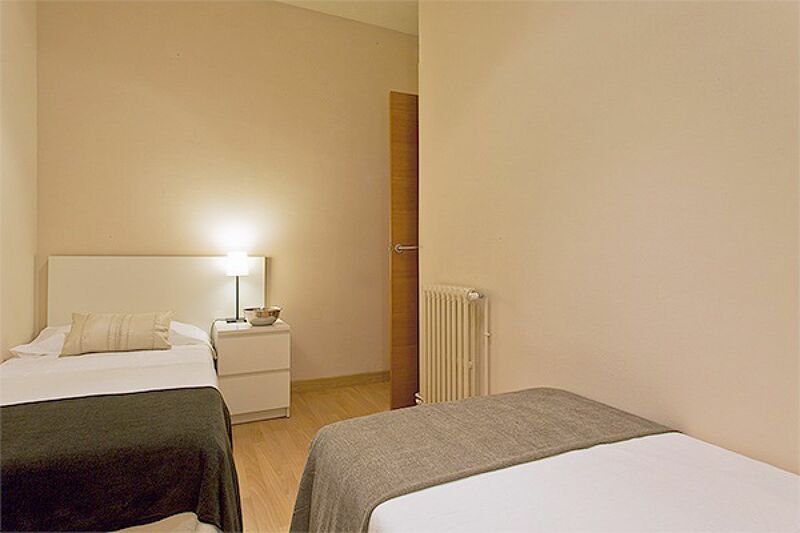 The apartment is clean and spacious with one large bedroom in the front and two smaller ones in the back. 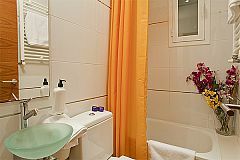 While there are two bathrooms, the second bathroom is quite small for the average adult, but it was OK for a short stay. The terrace is a lovely place to hang out. One thing to consider is that there is a lot of street traffic so it is quite noisy in the front of the apartment where the largest bedroom is located and could be an issue for light sleepers at night. The back bedrooms are nice and quiet. We appreciated the fact that we were met at the apartment though our flight was delayed and we arrived late at night. Also loved that the apartment had both a washer and separate dryer. 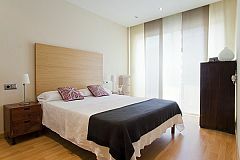 The "concierge" for the building is super friendly and on the whole, it was a good base for a lovely stay in Barcelona. Very nice flat. Kitchen is very good. Position very close to everything especially Aerobus from/ to airport, literally around one corner. Many great restaurants in the area. Ramblas about 15 mins walk. Very comfy beds. Very pleasant check in from BizFlats. Virginia was extremely helpful. Thanks for everything. well done with the flat and the business! Comfortable, cozy, great for long stay. location is excellent. I would stay there again in a heart beat. Super easy check in; location was incredible, thank you! 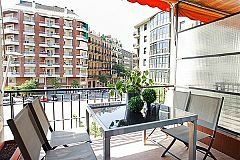 The apartment is in a great location; 5 minutes walk to bus/metro station. Even the airport drop off/pick up is within 5-10 minutes walk from the apartment. There are several neat restaurants close by that are not crowded and are fun to explore. Supermarket is right down the street which is very convenient. We were able to get around and see the major sights within 15-30 minutes using public transport, which was extremely convenient. Balcony overlooks the intersection which was charming in its own way, just sit down with a cup of coffee and soak it in! 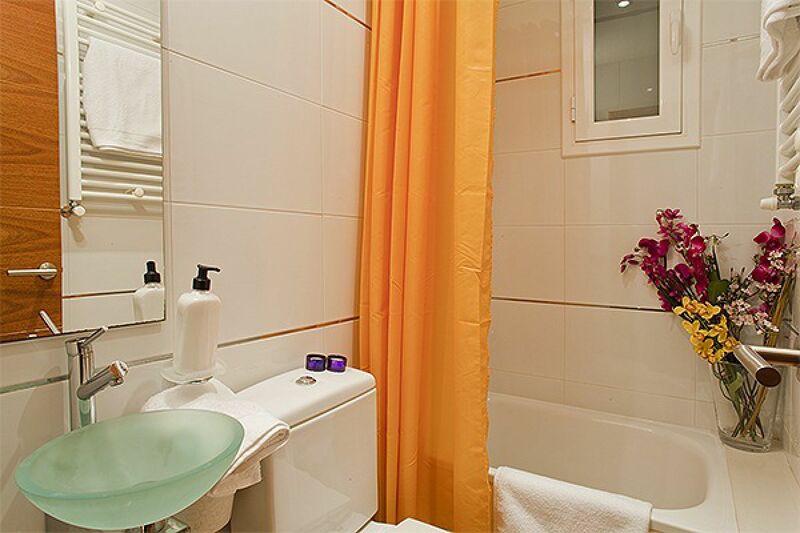 One thing to keep in mind: - second bathroom is a bit small, so don't expect two full sized bathrooms (this wasn't an issue for us, just an observation!) 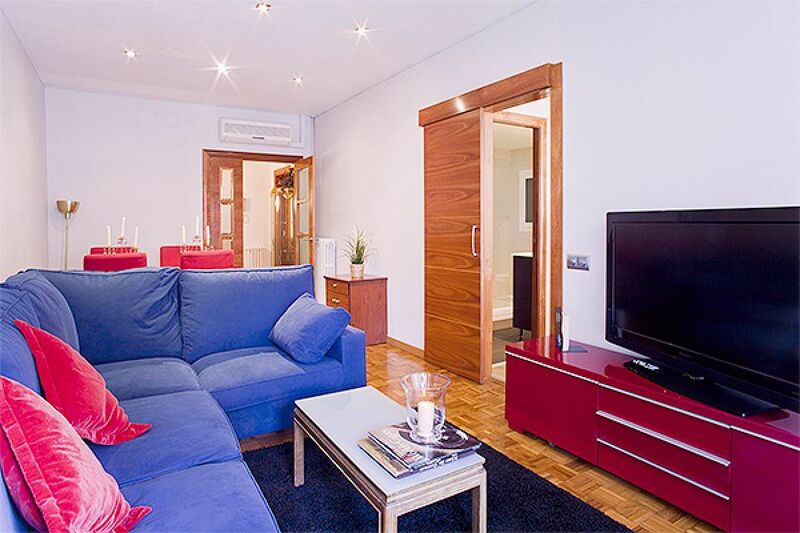 Overall, great apt in an even greater location, will definitely visit Barcelona again! We had an awesome stay at Jaume's apartment. 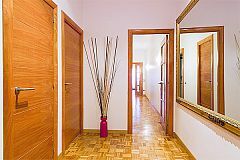 The building is very secure, well designed and has a very welcoming concierge at the front door every day. The apartment itself was very clean, amply sized with all the amenities we could have asked for. It's a great stay for families, as long as you look after your little ones on the balcony. Check in with the lovely Anna was very easy (make sure you bring cash Euros to pay the city tax on check-in). WiFi was very fast which helped us stream British TV channels to the TV with a Chromecast dongle we brought with us. Surrounding area is pleasant, lots of cafes, bars, restaurants and feels very safe. 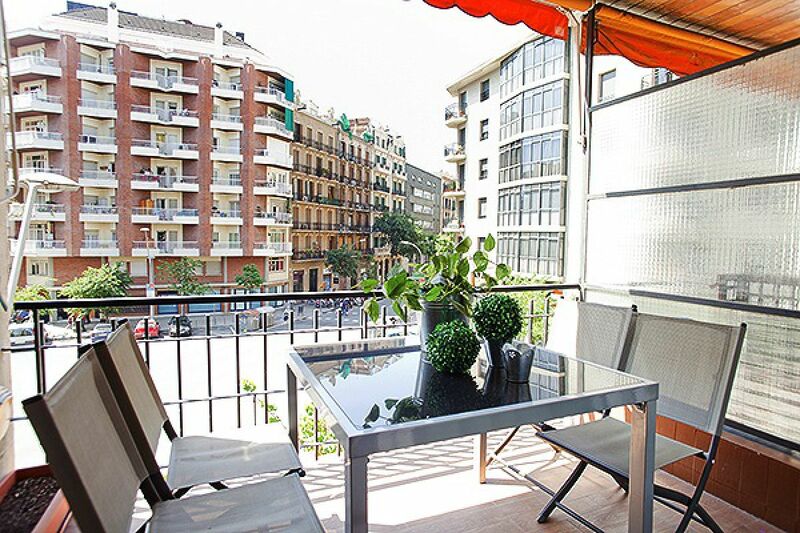 Only a short 10m walk to the top of Las Ramblas to be in the centre of town. A large supermarket is literally a 1 minute walk around the corner with everything you could ever need. 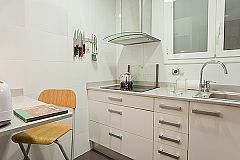 Overall, a great place to stay in central Barcelona. 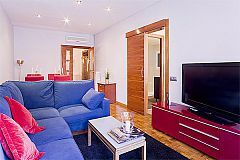 Jaume's company bizflats is very professional and looked after everything for us very well.